New collection! The Miss Fancy Top ivory from Steady Clothing. 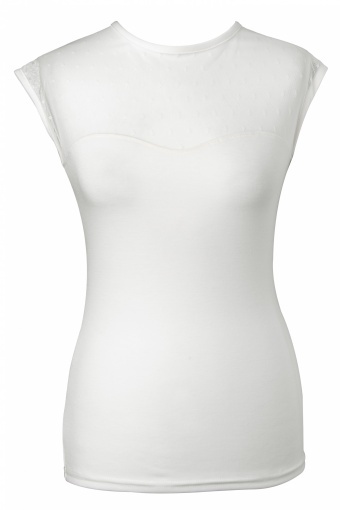 Besides the very popular black one we now have this cute top in ivory! Simple but special! Ivory long fitted top made from a stretchy soft fabric with sweetheart neckline and an eyecatching stretchy chiffon see through top with cute small dots. Also very suited to wear it with your special bra. Very comfy! my god! gisteren besteld, vandaag ontvangen! topservice!!!! Uiteraard is het kleedje ook helemaal geweldig! Het bestelde truitje snel ontvangen. Netjes verpakt en past als gegoten. Het stof valt me enigszins tegen. Al snel lijkt het veel gedragen, omdat de stof pluizig wordt.